O Darling, we can't help but swoon over the future meets the 50's look of these ultra-stylish Miu Miu sunglasses. 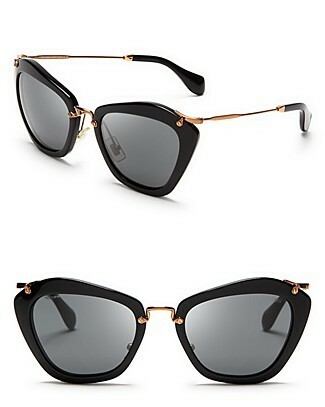 Once on, these sunnies will instantly glam-up your look, allowing your inner fashionista to come out. Maximize their look by wearing them with an irresistable pair of red lips.